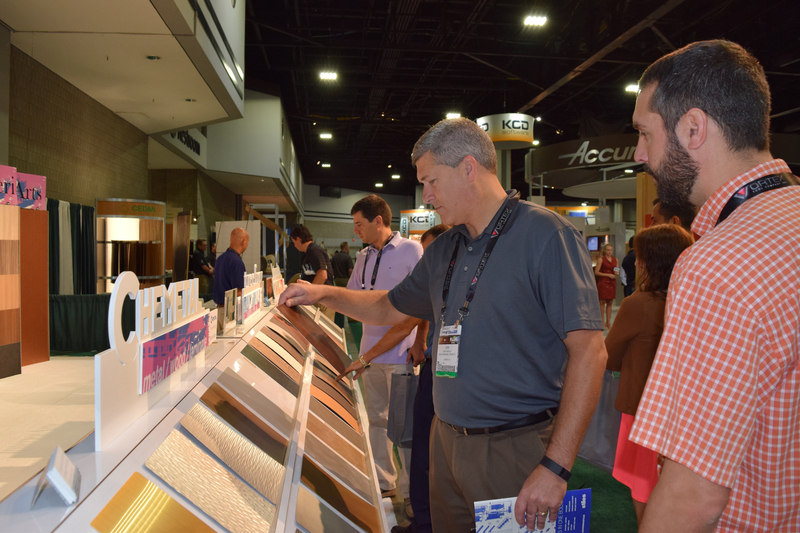 This is part 2 of an article about surface finishing innovations observed at the LIGNA PLUS 2001 show, many of which will be shown in the United States for the first time at IWF Aug. 22-25 in Atlanta. Part 2 focuses on roller, curtain, and vacuum coating and on drying. Part 1, published last month, covered finishing materials, sanding and spraying, is available here. In Europe, the transition from high-VOC to more environmentally friendly materials is underway. Most large manufacturers have already switched and medium and small manufacturers are following. Finishing before assembly using roller coating technology is currently more prevalent in Europe than North America, where finishing of assembled products is the more common practice. We believe that for most products, finishing prior to assembly will evolve as the more efficient technology. B++rkle presented a completely re-designed roller-coating system. This system allows fast cleaning and color changes and can be used to apply oils and waxes, as well as the more traditional finishing materials. B++rkle also added systems using jet dryers, UV dryers, special material handling systems made in-house and a new d+Ãƒ?Ã‚?Ãƒ?Ã‚?Ãƒ?Ã‚?Ãƒ?Ã‚Â¬cor-printing machine for printing engineered wood products. Hymmen showed a new roller coating system, the CombiCoater ULX-S. The company also demonstrated the Hymmen-Sleeve System, a system of rubber sleeves that can be placed over a steel application roll and held in place by a pneumatic cushion. When replacements are necessary, only the sleeve needs to be changed, rather than the entire roll. The Sorbini Laser Coater was presented by Cefla Finishing. The innovation of this roller coating equipment is the laser-based technology of engraved application rollers. Elmag Superfici presented roller coating equipment featuring a new fast drum change-over system. The company also showed a multi-color printing press named ST, which can print imitations of wood onto engineered wood products or improve low-value veneers. Barberan showed a lacquer-based decor printing machine, which prints wide MDF and HDF panels. Barberan's system also works for particleboard up to 2,400mm [95 inches] wide using water-based lacquers followed by UV-based top coating. Despite the fact that all well-known European manufacturers of finishing equipment offer curtain coating equipment, only a few pieces were found on display at LIGNA PLUS. Curtain coating is losing in importance, because new low-VOC finishing systems require rather thin material layer. 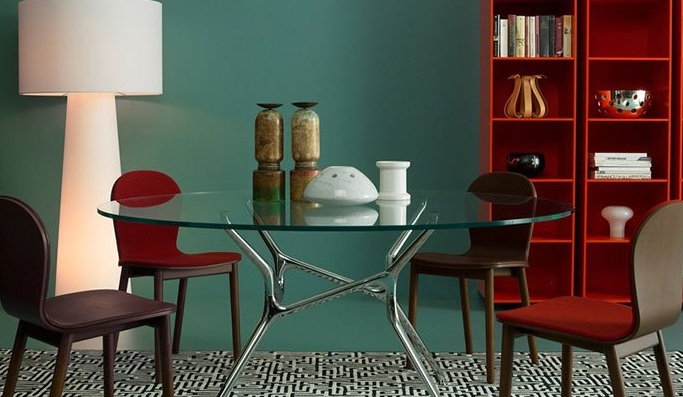 Only in places like Southern Europe, where polyester and polyurethane based lacquers with layer thickness of over 100 g/m2 [0.33 ounces/sq ft] are common for certain types of furniture, is the curtain coating technology still of interest. Vacuum coating, on the other hand, is being used more frequently. This technology relies on solvent-free water-based or UV lacquers, produces no overspray and wastes almost no material. With UV lacquers, layers of 6g/m2 [0.02 ounce/sq ft] are possible up to a width of 600 mm [24 inches] with feed rates of up to 50 m/min [164 ft/min]. Schiele offers a vacuum coater to finish door frame components with UV lacquers. The coater has a special application head that allows finishing of components of varying widths. The company also offered products to finish edges of window components and for sealing the edges of laminated floor panels. Universal Finishing Systems showed a low-cost, small vacuum finishing system that can also be used in laboratories. Giardina displayed a vacuum-based system for coating mouldings. Delle Vedove presented its first vacuum coater, a compact unit intended to seal edges of floor panels with special waxes. Most of the innovation in drying came for water-based applications, rather than UV curing. Drying times for water-based systems are still longer at present than solvent-based ones, because the vaporization heat needed for water roughly three times as high as for conventional VOC's. Rippert showed its Dry Air system, which pre-dries the air used to dry water-based lacquers. Humidity in the air is transferred to an absorption media, which reduces the heat needed. Venjakob, on the other hand, uses its Hydrex drying technology, a system that condenses moisture out of the air by cooling the air and then re-heating dry air to absorb more moisture from the surface. The company says drying times of 4 to 10 minutes are possible, depending on layer thickness. Hymmen-Hackemack showed a new generation of vertical-dryers. This system is designed for thick layers of slow drying water- or VOC-based materials. The system has the ability to create separate temperature zones within the oven for flash-off, drying or cooling. Drying times of about 1 hour can be realized depending on the surface material used and the thickness of the layers. Cefla Finishing showed a new generation of vertical belt tray drying-systems. This system features a new, more accurate air control mechanism. Gas-infrared drying was presented by Universal Finishing Systems. This system burns gas at 650 - 950C [1202 - 1742F], creating a flame that emits an IR-light. This, combined with fast flowing air of high ambient temperature, allows drying parts within some seconds. The company says the gas infrared dryer uses less energy than an electrical and requires no flash-off time. The Swedish oven producer Triab showed a new process system for the melting of UV-powder applied on heat sensitive materials. In this oven, the UV-powder flows in a few minutes and is then cured by UV-lamps. Without a doubt, few characteristics of wood products are as important to the buyer as the "look and feel" of the surface. This is not surprising since the attributes of a surface are the most prominently displayed parts of a product. Also, the availability of more environmentally friendly products and technologies combined with ever more stringent regulations force the industry to adapt new materials and technologies. However, innovative solutions keep coming to the market. Only constant adaptation of more advanced, cheaper, and environmentally friendlier surface finishing solutions and ongoing employee education will allow individual companies to compete successfully in the market place. Urs Buehlmann is Assistant Professor and Extension Specialist, North Carolina State University, Department of Wood and Paper Science. 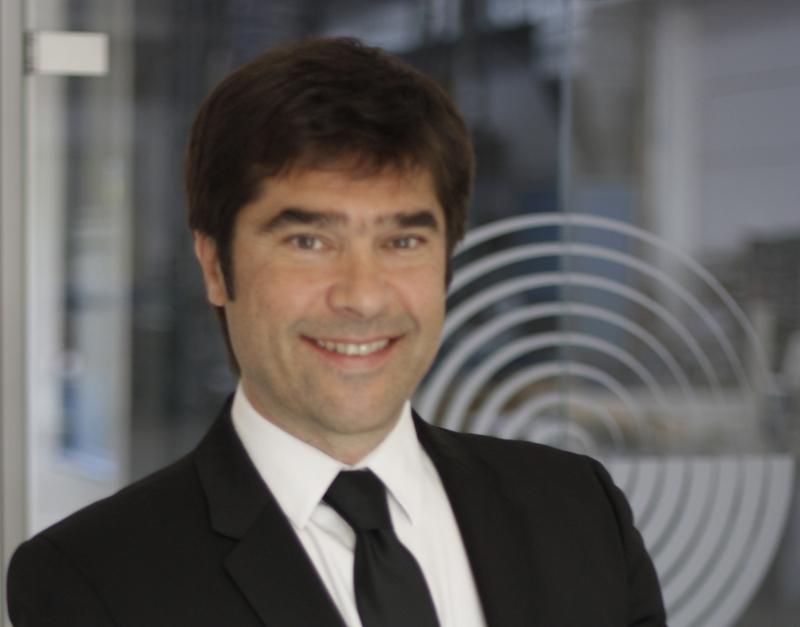 Joerg Schleusener is Professor Emeritus, Swiss School of Engineering for the Wood Industry.